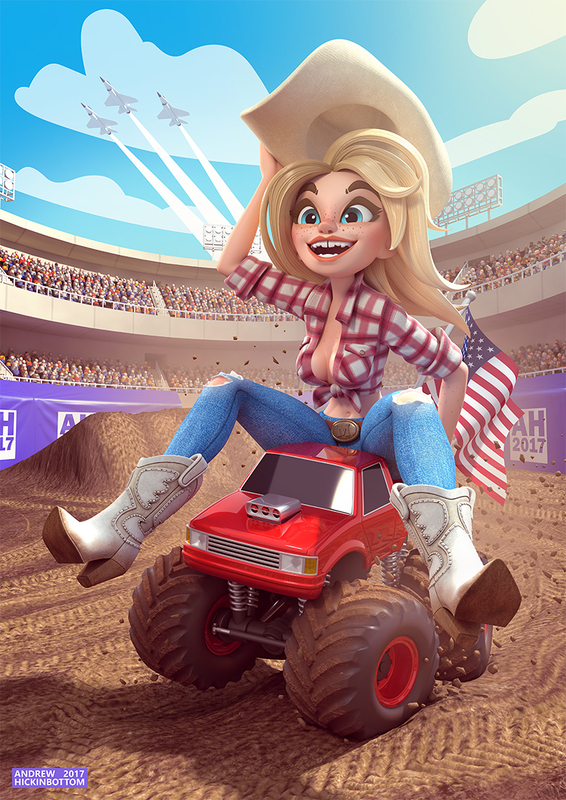 Meet Meg and her monster truck! Ive wanted to do a pinup involving a car of some sort for a while now, but never found a fun, unique and non-corny way to do it - until now! Why a monster truck? Because they're badass! Also - i'm now on Patreon! If you support me, you get access to a lot more of my work in progress images, tips, higher resolution images and other goodies.